First, a little skin background. 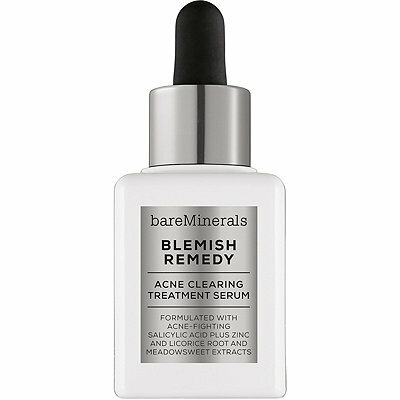 I have extremely oily, acne prone skin. I also have dark circles and dryness under my eyes. In the past few years I have had horrible experiences with dermatologists. They typically brush off my skin issues and offer little to no options. I was wandering around one of those beauty stores a couple of months ago and a Bare Minerals representative approached me. We started chatting about my horrible skin, my fear of moisturizer, all the anti-aging serums that broke me out, and all the eye creams that dried out my under eye area. At the time I was using the Glytone Mild Gel Cleanser, the Neutrogena Oil-Free Combination Moisturizer, an eye cream from CVS, and the Clean & Clear Advantage Acne Spot Treatment. The reason I was using those products was because one dermatologist recommended and sold the Glytone cleanser, the oil-free moisturizer did not seem to break me out, and the CVS eye cream was the only cream that did not dry out my under eye area. The Bare Minerals representative took me through the skin care products that worked for my oily skin. My face had not felt that plush and hydrated since I was in 5th grade. So, of all the items he demonstrated, I purchased the Skinlongevity , an anti-aging serum made from the long life herb, Chomeiso, found in Okinawa, Japan that is a “super superfood shown to have a higher vitamin and mineral content than spinach and kale. In addition to being loaded with antioxidants, the plant has high amounts of calcium, magnesium and potassium and is incredibly high in polyphenols. Legend has it that eating just one bunch of Long Life Herb will extend life by one day.” Skinlongevity has been clinically proven to improve the overall appearance of skin. You can read more about Skinlongevity here. I also purchased the True Oasis Oil-Free Replenishing Gel Cream (moisturizer) and the Blemish Remedy Acne Clearing Treatment Serum . The gel cream feels very light but provides enough moisture that my skin feels hydrated. The acne serum is a preventative step that I use along with the Clean and Clear acne spot treatment because sometimes those breakouts show up regardless. After using these products for about a month I purchased the Brilliant Future Age Defense and Renew Eye Cream and the Pure Plush Gentle Deep Cleansing Foam . The eye cream does not dry out my under eye area which is miraculous because every eye cream I’ve tried (with the exception of the CVS cream) dries them out. 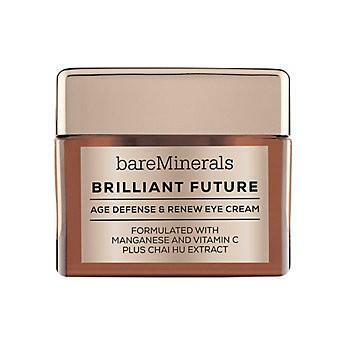 However, unlike the CVS cream, the Bare Minerals eye cream actually keeps my under eye area hydrated and helps to prevent creasing under my eyes after I apply makeup. The cleanser definitely provides a “squeaky” clean so I do not recommend this cleanser to anyone with dry skin. So, do these products work? Well, based my experience, I think they do. My skin is actually less oily now because I stopped completely depleting it of moisture, so it doesn’t feel like it has to overproduce oil. My eye area is still dark but that probably can only be remedied by filler because I suffer from volume loss in that area, but my under eye area is not dry and my makeup does not crease. My skin feels overall healthier and plumper. I am using the Skinlongevity as a preventative, so I can’t really tell you that I look younger and I still get hormonal breakouts but I still like using the acne serum. Here is how to layer your skin care after cleansing your face. Let each layer dry for about a minute before applying the next layer. Bare Minerals just recently released a Skinlongevity Eye Gel Cream that I am interesting in trying and the Oil Obsessed Cleansing Oil is also something I may try next. The best thing about this new line is that they have products for all skin types. 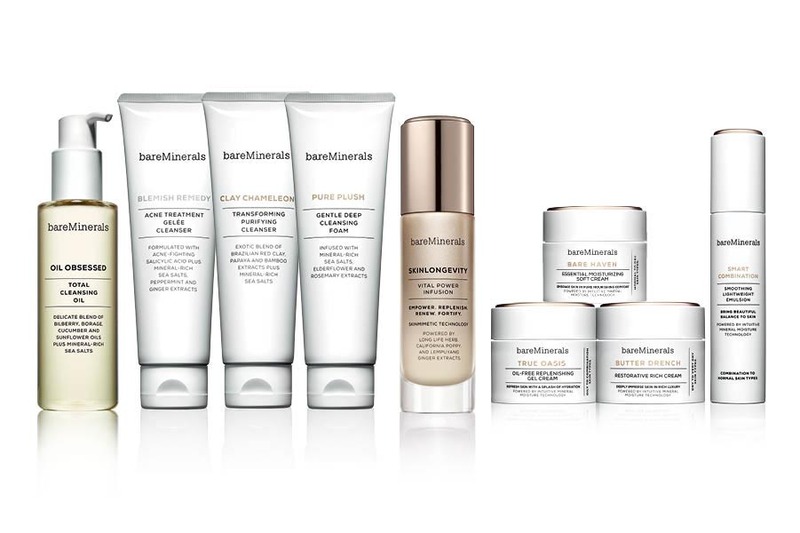 Search Bare Minerals Skin Care or visit a Bare Minerals counter to try a few products for yourself.